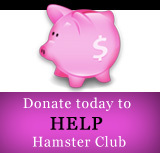 Hamster hotels, you might think, are hotels for real hamsters. In this case, however, they are hotels for people, but designed as though a hamster might live in it. For 99 euros ($147) a night, visitors to the hotel in Nantes, France can eat hamster chow, run in a giant hamster wheel and sleep in hay. They even dress up like hamsters. It's known as the "Hamster Villa". Why would anyone want to live like a hamster, particularly at this price? Owner Yann Falquerho told Reuters, "The Hamster in the world of children is that little cuddly animal. 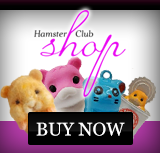 Often, the adults who come here have wanted or did have hamsters when they were small." Despite this, however, apparently the spartan hamster life is getting an upgrade. A the same time, the price will rise as they will be adding wi-fi and a giant TV screen.